THE PRAYER OF JESUS THAT HAS NEVER BEEN ANSWERED. IT IS OUR MISSION TO SEE IT DONE, STARTING IN OUR OWN COMMUNITY OF TRINITY COUNTY. Please join us for Shalom at The Center Tuesdays at 1 pm. Trinity Hope House Project Moves Forward! Trinity Hope House Board meetings are held on the 4th Saturday of each month at 10 a.m. in The Center, 442 Glen Rd., Weaverville. Everyone is invited. Click on the photo above to go to the Trinity Hope House website. We believe we are called by God to answer the prayer of Jesus in John 17:22-26, which has not yet been answered, using the gifts of the Spirit (Galatians 5:22), and in the spirit of love described in 1 Corinthians. 13. We started right here in Trinity County where we live, and we want to share the message God has given us with the world. 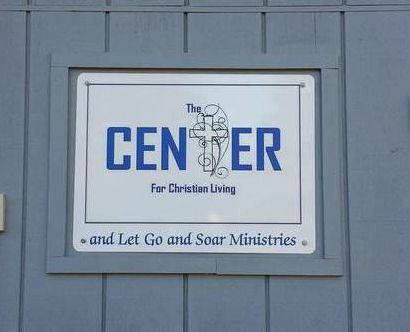 The Center for Christian Living is the ministry headquarters, located in a quiet neighborhood in Weaverville, Ca. To read more about The Center, click on the button below. Please visit our YouTube channel and subscribe! Volunteers for the Free Community Thanksgiving Dinner joining hands in prayer for the event. Click below to know more about the many aspects of our ministry, and how you can be a part of what God has called us to do.